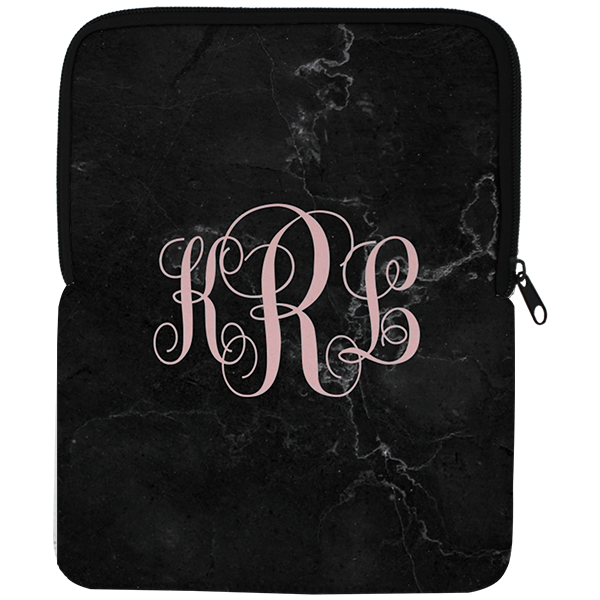 A rich dark marble evokes a sense of luxury to our highly protective Black Marble iPad Air Sleeve. A blush feminine monogram adds a tough of girly customization. Notebook measures approximately 7.5"x9.75" so it fits your iPad air securely. A rich dark marble evokes a sense of luxury to our highly protective Black Marble iPad Air Sleeve. A blush feminine monogram adds a tough of girly customization. Our notebook measures approximately 7.5" x 9.75" so it fits your iPad air securely. Notebook are made in the USA. Adding a monogram adds a touch of personalization. Order today!